If you’re seeking a quick and convenient method to install Moodle on your server, the Softaculous Apps Installer is the way to go. 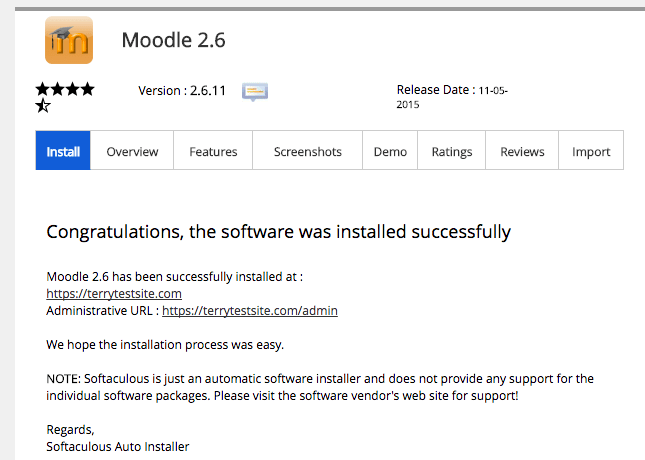 Available in your cPanel administration dashboard, Softaculous can automatically install and configure Moodle in a couple of clicks. To get started, first log in to cPanel. Now scroll down and select Software > Softaculous Apps Installer. From the sidebar, select Educational, then scroll down to the Moodle listing. Click the icon to launch the installer. Work through the configuration page, setting the protocol, domain, and data directory. 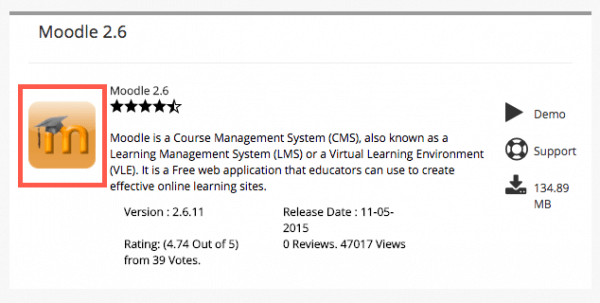 You’ll also need to create a Site Name and Description. Create your administrator username and password, then enter a name and contact email address. If you wish to change the default database details used for Moodle, click Advanced options. When you’re ready to proceed, click the Install button at the bottom of the page. You’ll receive confirmation of your successful installation on-screen.